The Missile Defense Agency is evaluating nine proposals for space sensor architectures. With $73 million that Congress already appropriated, the agency will select three to continue on. “I think you’ll see operational systems in the mid and latter part of the 2020s,” Undersecretary of Defense for Policy John Rood said of the space sensors. Space-based sensors for missile defense also received full support from Congress. The 2019 National Defense Authorization Act directs the Pentagon to “complete a plan and initiate development” of a space-based missile defense sensor architecture. Appropriators added $73 million to the Defense Department’s 2019 budget to begin the work. How the Pentagon proceeds with this project over the next year could set the stage for success, or failure. 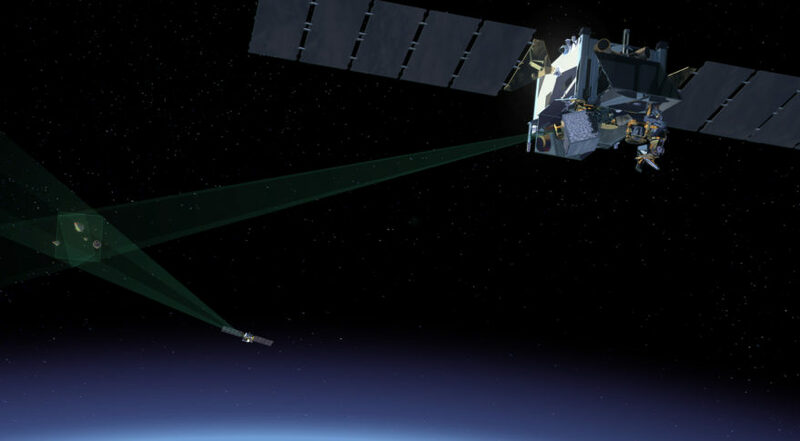 Missile defense programs have been notorious budget busters in decades past, including the military’s current missile warning satellites, the Space Based Infrared System known as SBIRS. “It’s ambitious,” said Laura Grego, a missile defense and space security experts at the Union of Concerned Scientists. Efforts to deploy missile defense sensors in low orbits go back to the 1990s. The Air Force at the time began plans to launch a “SBIRS low” constellation in 2006 to supplement the coverage provided by SBIRS high. The SBIRS low program in 2001 was transferred to the Missile Defense Agency where it became the Space Tracking and Surveillance System. It wasn’t until 2009 that the agency launched two Northrop Grumman-made STSS satellites into low-Earth orbit. But costs escalated, and the Pentagon abandoned the original SBIRS low goal of a 24-satellite constellation. The program was later renamed Precision Tracking Space System (PTSS), intended to be a constellation of nine to 12 satellites to detect and track ballistic missiles and warheads in flight. Griffin’s advocacy of a LEO constellation for missile defense goes hand in hand with his support of Blackjack, a Defense Advanced Research Projects Agency effort to adapt commercial space technology for military use. Sometime in the next two to three years, DARPA plans to launch a small experimental constellation of commercial satellites in LEO, equipped with military payloads. The concept behind Blackjack is to capture the innovation in commercial space and lower the cost and development timelines of military systems. Griffin has been hugely critical of the Air Force’s costly satellite developments and views Blackjack as the Pentagon’s best hope to move into a new era of faster, cheaper space systems. DARPA has set even more ambitious goals for Blackjack. It wants to demonstrate the use of “smart” satellites on orbit that can collect, analyze and disseminate data autonomously, and possibly even cue interceptor weapons. This could dramatically reduce the time it takes to respond to a missile attack. SBIRS data, for example, is sent from space to command centers on the ground, where it is combined with data from other sensors and analyzed before it is passed on to the interceptor weapons. Griffin noted that one of the issues that need further study are the “fire control approaches” for the Space Sensor Layer. Hypersonic missiles are projected to fly much faster than ballistic missiles, so the latency of the data would be a critical factor. DARPA is tackling this issue in the next phase of Blackjack, called Pit Boss. “This is the technology that is the real ‘DARPA hard’ problem,” the industry source said. Computers on Blackjack satellites would process data from the entire constellation and autonomously identify what weapon on the ground might be positioned to intercept a target. One of the wild cards in the Space Sensor Layer project is whether it will remain under the Missile Defense Agency. There is an effort underway to establish a Space Development Agency — that would report directly to Griffin — to take on projects like the Space Sensor Layer. Acting Defense Secretary Patrick Shanahan and Griffin have argued that the Pentagon’s traditional procurement organizations are not able to capture technologies from the private sector and apply them to military systems in a timely manner. The Space Sensor Layer could be one way to test the capabilities of the new agency.